We stand opposed to Chishimba Kambwili’s canine politics whenever he constantly fails the test to differ and disagree without becoming personally disagreeable. He tends to believe the unpleasantness he says about other people makes him more likable and popular than before. But Kambwili, the disgraced and morally challenged attention seeking *“global”* lout has taken the phrase *“rabid buffoonery”* to its ultimate. He personifies it. We will not call him a moron or anything like that, as it would be a grievous insult to the moronic guild. Anybody listening to Chishimba Kambwili will within seconds know he is a *“Con”* and a Buffoon. Take his melodrama about PF Election Financing for instance. Real and sustainable political development starts at the grassroots. The Patriotic front is popular with the people because it is a spontaneous combustion of grassroots, not only across Lusaka but across the nation as well. Unlike his little band of hanger ons called NDC, the Patriotic Front under the leadership of His Excellency President Edgar Chagwa Lungu is the largest political organization in Zambia and has supporters and well-wishers who can voluntarily print posters and t-shirts at their own cost and later donate these to the campaigns! All they need to do is request the Party to provide these members and well-wishers with approved designs for different candidates. This is common practice everywhere with progressive political organizations. Having been a member of the ruling Party before, he knows that PF members are very passionate about their party and members at all levels develop numerous innovations to drive our campaigns forward and not dipping their fingers in things like the Mongu Stadium saga. That applies to the track suits Kambwili was bellyaching about. One of the party youths brought in a quantity of branded track suits which he sold to individual party members and well wishers. Initiative and Innovation! Concerning the re-financing of the Eurobond, if there were anything untoward about the proposed transaction, does Kambwili think the matter would have been brought up and discussed live on national and international TV? We are not crooked like him and the way he handled matters at Ministry of Youth and sport. The fact is that he was warned against soliciting for funds from the corporate world in the name of the Party by then PF Secretary General Wynter Kabimba and maybe we should forward that letter to Drug Enforcement Commission (DEC)! His Excellency President Edgar Chagwa Lungu runs such an open and transparent PF Government that the matter of refinancing the Euro bond could be discussed out in the open! How can the same mouth that passionately sang unsolicited songs of praise for His Excellency President Edgar Chagwa Lungu commending the President’s stewardship and resource management, only a few months later in the same breath heinously contradict itself? What kind of person is so shamefully inconsistent that he goes against his own word? Perhaps he has truly sold his soul to the devil like he promised to. Consider the cheap charade of a pathetically faked apology he took to Southern province to the great Tonga people. That charade did not impress the Tonga’s he wantonly insulted in the past, they stood aside, pretended to accept his apology but the truth is they simply enjoyed watching Kambwili eating his own puke. They were rightfully having the last laugh. They rejoiced in Kambwili’ pitiful image because they (UPND) still recall how they suffered a barrage of tribal torrents and insults for embracing GBM. Recorded footage still exists where Kambwili called Tonga’s singularly and UPND collectively as retarded for embracing a man he called a wife batterer, a violent and filthy man—GBM. That is the nature of a deluded Kambwili. He pretends to bite by day but comes back whimpering incognito at night hoping to make amends. What a Hypocrite! Kambwili carries the infamous distinction of being the first, the only, and probably the last Cabinet Minister to have been shunted around four different ministries in a space of about 6 months. Why? Because he is a con of a misfit clown who doesn’t understand the terms *“Team Work” “Humility”* and *“Hard work”*. He hides his inadequacies behind a smokescreen of bravado. However, he is just a loud empty din of a tin. The so called *“Insultant”* of the NDC is incapable of leading anybody. He is not the brightest of sparks and he’s as sharp as marbles! He handpicked a candidate domiciled and registered to vote in Kafue, and cajoled her to stand as mayor for Lusaka. The halfwit even *“accompanied”* his hapless candidate to the polling station on voting day only to be unceremoniously turned back! The NDC were subsequently given such a hiding at the polls even by fledgling political parties. Every time he opens his mouth, people take him less and less seriously because he seems to put his foot in it with undisguised relish. It is almost as if he’s foot is sugar coated. If he was so popular why doesn’t he voluntary resign and have his small group challenge the Patriotic Front in Roan Constituency? 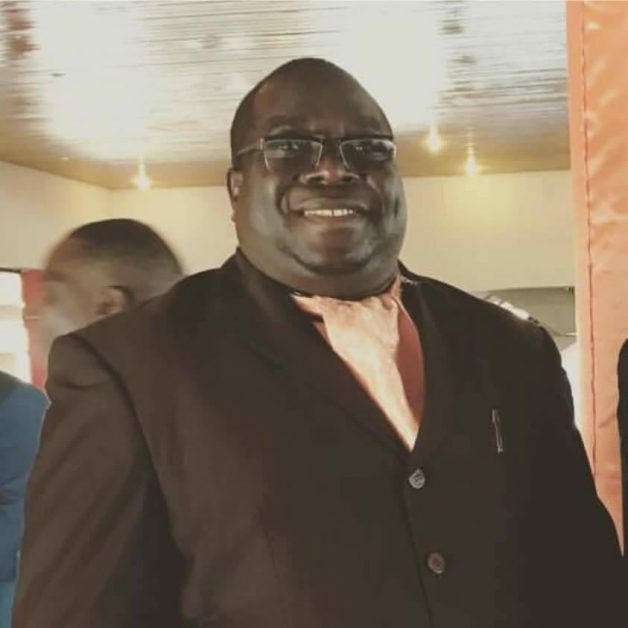 Kambwili enjoys to downplay his unfortunate medical condition by stating that he only collapses because his body was not meant for prison or cells. We will not discuss Kambwili’s hypertension and diabetes as it would be unethical and inhuman (assuming we are dealing with a human) for us to do so. However going by his own recent public admission, he probably and dangerously manipulates his diabetes and hypertension whenever he is summoned to appear at a police station. We know that desperate prankmasters can drink several bottles of fizzy drinks and go into an induced coma . We know of a breed that out of desperation induces their own diabetic coma? Prankmasters gone awry! What morbid unstable minds! Chishimba Kambwili has a past he does not enjoy revisiting but we can offer him a ride right down to his days in Chingola and Luanshya. There are a number of transactions he cannot explain. He thinks Zambians are gullible! Ever since the Anti-Corruption Commission or ACC raised the red flags on him, things have not been well in the disgraced politician’s make believe world. Kambwili has railed, ranted and groaned none-stop and cried to everyone willing to listen to his boring and pathetic sob story. Things hit a new low for him however, when President Edgar Lungu sacked him on evidence that he could have been neck-deep in the quick sand of graft. For a while he ranted, checked himself and slowed down perhaps because he thought his threats to *‘spill the beans’* which Zambians are still waiting for, would get him a seat back on the table with PF and renegotiate or worm his way back in the inner-circle despite his evidently dirty grabby fingers. But that didn’t work so Kambwili like a spoilt brat has done what most characters like him in political history stretching way back to Shakespeare days do— engaged into a fast paced self-destruction mode. Finally, we wish to remind Kambwili that just as he once sang the daily chorus *“loyalty defines man”* to others, he will sing *“foolishness defined a disloyal buffoon’s path to prison”* to himself. He will before long lament the *“Chronicles”* of his self-destructive buffoonery. Inquiry on violence vs Inquiry on Electoral fraud, which must come first?